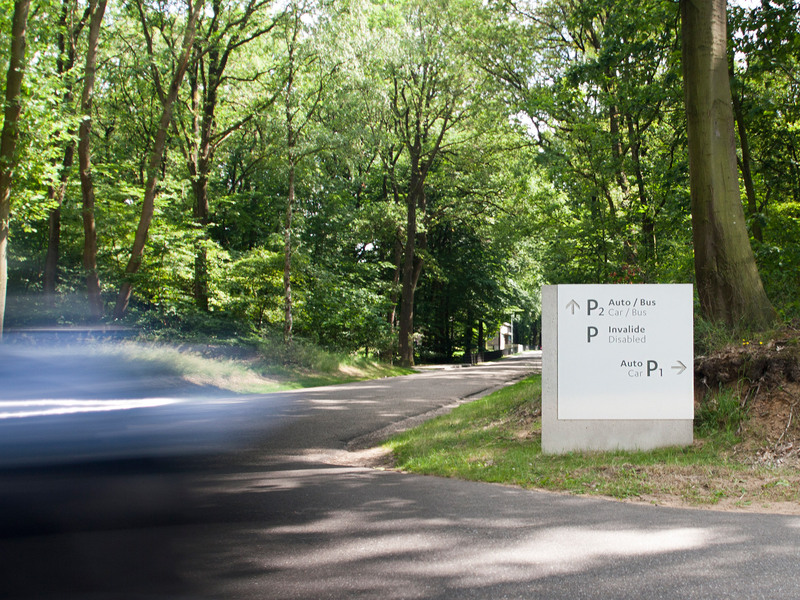 The introduction of a new corporate identity led to the commission to develop a new wayfinding system for the museum. The original building by Henry van de Velde, commissioned by Helene Kröller-Müller, and the new wing designed by Wim Quist were important principles for the wayfinding system. 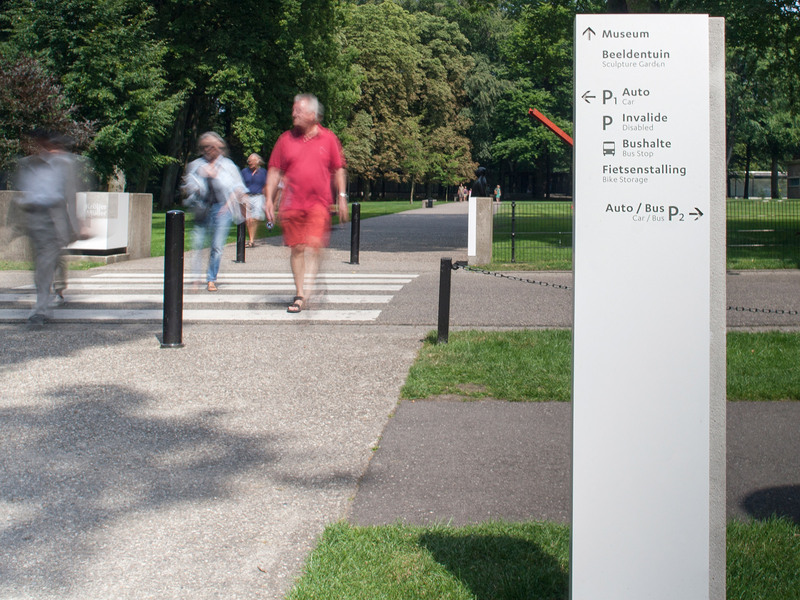 Besides functionality, the wayfinding contributes to the atmosphere of the Kröller-Müller Museum without disrupting the experience of art, nature and architecture. Mijksenaar’s design is in line with the core values and visual language of the new corporate identity and architecture of the museum.